The Cannes Lions International Festival of Creativity is a global event for those working in the creative communications, advertising and related fields. The November 9 happy hour event will feature a reel of this year’s Lions winners. AAF Columbus is proud to present this annual event in conjunction with Columbus AMA. 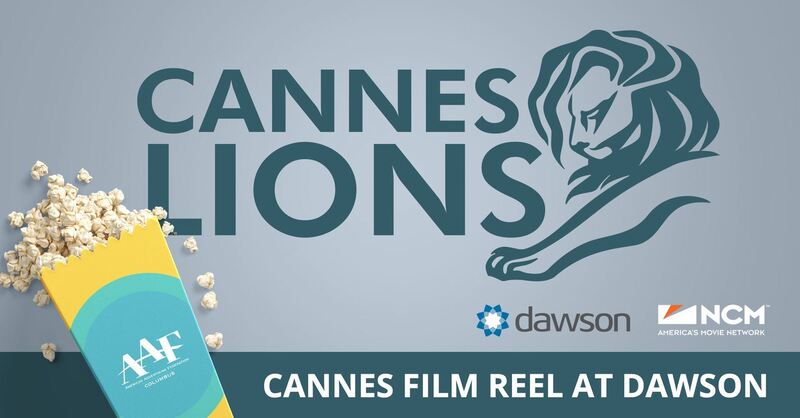 This year's viewing of the Cannes reel will be held at Dawson in partnership with National CineMedia. Join us for an evening of inspiration.